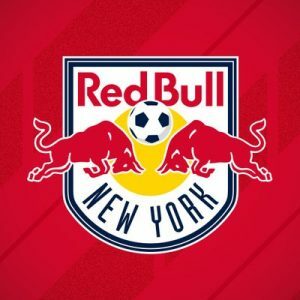 New York Red Bulls on the hunt for a sponsorship deal! Legalized sports betting is proving to be very lucrative. In fact, since NJ legalized sports betting, players wagered more than $336 million, and those numbers are appealing to sports teams and leagues. Especially, if your club is in NJ like the Jets, Giants, and Devils. Oh yeah, and don’t forget about those NY Red Bulls! Speaking of them, sources say, they want in! First, let’s salute the Red Bulls, they’re in first place in the MLS Eastern Conference! Not to mention, they running the field in the Audi 2018 MLS Cup Playoffs! With that said, it should be straightforward to land a sponsorship deal with a sportsbook in NJ. Which, would really be great for the Red Bulls considering the fact MLS is struggling to gain fans in the US. Furthermore, the average MLS player cost around $300,000. That may seem like a lot to you, but the truth is, players in the NBA, MLB, and NFL make an average salary of $2-$6 million a year. So, the Red Bulls need a sponsorship deal to pay big players it seems and get new fans! Unfortunately, MLS prohibits sponsorship deals with companies associated with sports betting. However, the leagues are now reviewing their policies, and they should start allowing such deals by the beginning of the 2019 season. Which, makes sense since we’re already in the Playoffs. If all goes well, a sponsorship deal with the Red Bulls could also lead to the renaming of their stadium. According to sources, that could be worth an additional $4 million for the pro club. So it’s not likely they’ll have a hard time finding a partner. Although choosing the right one might prove to be more difficult! According to the team’s general manager, Marc de Grandpre, “We’re looking to enhance our fan experience through sports betting. So we’re looking to have that conversation with any company looking to take advantage of this opportunity.” So who will it be? Until an official announcement is made, we’ll be in the hunt for new details and keep you posted!